Communities and our participation therein come to form the crux of our identities, often defining and redefining our concept of self. And, so, from a very young age, we embark on a search for the intangible: that sense of belonging. For some, finding a community of like-minded individuals comes easily. For others, finding their tribe involves years of trial-and-error, heartbreak, intense highs, traumatic lows, and a labyrinth of self-discovery. My search falls squarely into the latter. 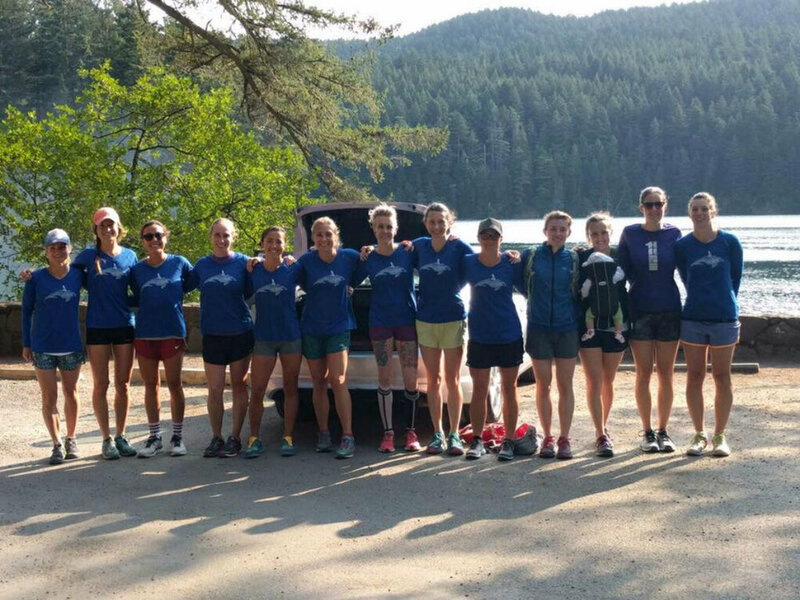 My introduction to Club outside of just an awareness of its dominating presence at local races was through their 2017 Women’s Running Retreat. The long weekend on Orcas Island, authentic conversation with gritty women, running around Moran State Park, late night campfires and real talk while hot tubbing confirmed a few things for me. First, (yes, Drea, you knew this was coming), I definitely still hated trail running. Secondly, there’s nothing wrong with wanting to silence all the noise and focus on our best competitive selves. Yet, as I stood on the stern of the ferry with the other women on our return trip home, I also realized that not only did a like-minded running community exist (and they weren’t so scary after all! ), but that maybe I wanted to follow these island vibes beyond the San Juans. As in, take the leap and <gasp!> officially join Club Northwest. Finally, I’d worked up the courage to join the competitive running club I’d been stalking for the past four years…and promptly landed myself on crutches. Oh, the irony! I couldn’t run. But, I learned quickly that, to Club, it matters not what its members seemingly lack; rather, through taking a genuine interest in its members, Club cultivates a climate of inclusiveness that celebrates its athletes along each point of their individual and collective journeys. From youth track and field to cross country to the All-Comers series now in its 50th year, Club Northwest has a valuable presence in the Pacific Northwest. It provides collegiate runners with their next step, offers the littlest runners the tools to dream big, and boasts all-star, inspirational masters athletes. Yes, these are the tangibles: the people we can see, the names we can put to race times, the events we can attend. However, it is the intangible sense of community cultivated through members’ simple gestures that ultimately hooked me. Tom’s uncanny ability to remember many moons later aspects about my health we’d discussed in passing. Lana’s genuine concern when she caught me riding the struggle bus along the Ship Canal path, wrapping up her workout to make sure I finished mine in one piece. Drea’s trust in me to help boost Club’s virtual presence. Mark’s welcome nudges to run more with Club because “you gotta have a team, people to train with.” The Club Northwest community offered that which eluded me until recently: a true sense of belonging. Newer PostChicago, Here Comes Club!